Quality matters – Not all non slip decking is the same. The last thing you want is to buy anti-slip decking that lasts a year or two and that’s it. 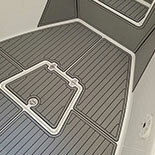 Marine Customs is proud to be a certified fabricator, installer, and supplier of boat decking products. You can count on us to use the highest quality products for customers. Safety first – Safety is of paramount importance to you. 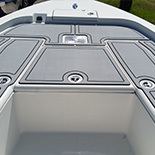 The EVA foam we use at Marine Customs is not only comfortable and durable, but it also provides non-skid safety. 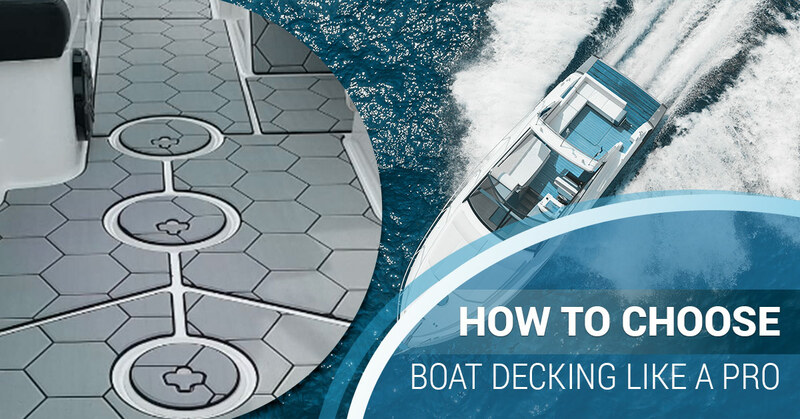 Say goodbye to the days of tiptoeing across your boat’s flooring because it’s a safety hazard. Rest assured that our staff takes product safety very seriously. With maximum wet/dry traction, passengers can focus more on relaxing and enjoying each other rather than worrying about the flooring. Consider convenience – Interested in boat decking from Marine Customs but are located outside of our service area? Not a problem. We have customers who choose to template their own boat. Here’s how it works: once we process your template, we send it to you for a final fit verification. Once we’re set with the fabrication of your materials, we ship them to you for a self-installation. Thanks to 3M peel and stick application, installation is quick and easy. Think about customization – You don’t want the same boat decking that everyone else has, right? 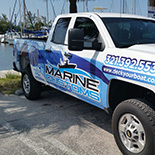 At Marine Customs, the most popular service we provide is a customized installation for any boat. First, we have our design consultant create a 2D digital scan of the boat. From there, we import the scan into our CAD software where it’s customized to include any patterns, graphics, or logos of your choice. We then fabricate the anti slip decking on a high-precision CNC machine. The process is completed when our consultant installs the finished product. Get the right look – We invite you to take your pick from 16 available colors. Looking to show off your favorite brand or logo? We now offer laser engraving for both large and small projects. 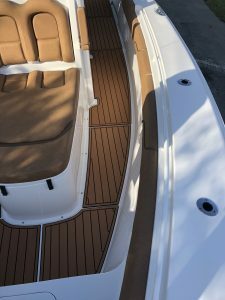 One more thing here: anti slip decking from Marine Customs covers spider cracks, button snap holes from old carpet, as well as other surface imperfections. Don’t forget to try our non-skid products for personal watercrafts, air boats, kayaks, golf carts, off-road vehicles, and houseboats. See what Marine Customs can do for you. Contact us today to get started on your project.